Fill chips & pits for virturally invisible repair: granite, marble, Silestone, quartz, Corian, travertine, floor tile, limestone, slate, onyx, all natural stone, & porcelain tile. For horizontal surface. Fills 5-10 small pits. Most advanced marble & granite sealer. Forms permanent bond & barrier for utmost durability & stain protection. Needs no reapplication. Covers 50-200 sq. ft.
Easy DIY use for removing dull spots, water-stains & glass-rings from chemical etching and light scratches on shiny polished marble, travertine, limestone & onyx. 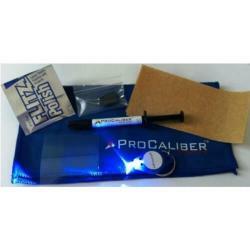 Get the Marble Repair Kit for complete care! 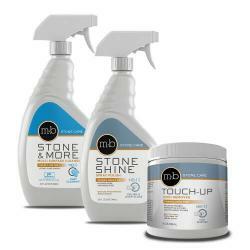 Enhances surface shine, reduces fingerprints, improves cleaning ability and surface protection. 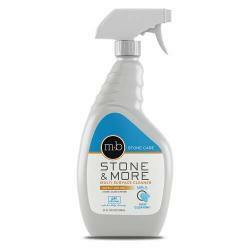 Use on polished granite, quartz and marble countertops. Easily cleans soap scum & hard water deposits on shower tiles, countertops, sinks & faucets. Safe on all natural stone. Removes grout haze on new tile. For routine use cleaning marble countertops, granite, natural stone, quartz countertops, backsplashes, ceramic and mirrors. Sprayer included. 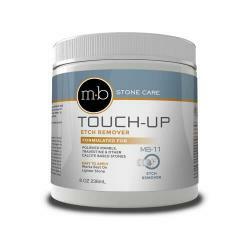 Specially formulated product safe for removing mildew & bathroom mold on marble, travertine, granite, quartz, & all other surfaces. No heavy scrubbing needed! 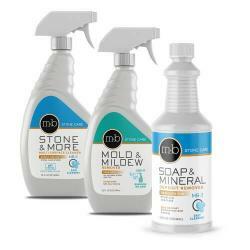 Everything you need to keep your bath & shower sparkling clean is included. Safe on all natural stone. 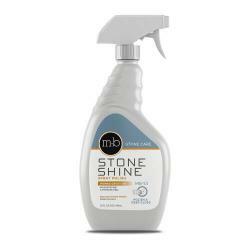 STONE POLISH: to enhance shine, reduce fingerprints, and add protection.